Student flute with advanced features and craftsmanship. The DZ-200 series is the original cornerstone of the Di Zhao student flute line. It features all of the standard features, including a fully silver-plated body and headjoint, and is equipped with a C footjoint. 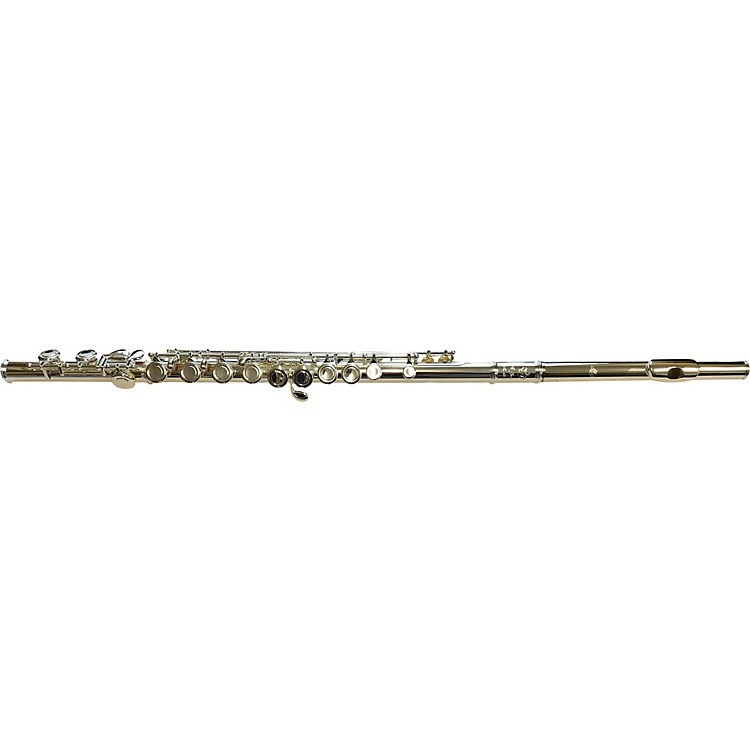 It distinguishes itself from other student flutes with fully hand-padded, partially-shimmed keys, ensuring a long-lasting and non-leaking lifespan. Each flute also comes with one of Di Zhao’s signature hand-cut headjoints, allowing you to easily play all octaves with the powerful, free-blowing, and rich tones of a professional. Furthermore, each DZ 200 flute has a special fully sterling-silver lip plate and riser, giving the 200 the sound and feel of a silver headjoint flute at a fraction of its cost. This is the beginning of a long journey of creating beautiful music through an instrument hand-crafted to allow your artistry to flourish. With their unflagging commitment to both unparalleled craftsmanship and affordable prices, Di Zhao Flutes is one of the fastest rising stars in the flute industry today. World renowned professional flutemaker Di Zhao, previously of Powell and Haynes Flutes, brings his own unique expertise and artistry to the student flute market. With Di Zhao Flutes, each flute is made and plays like a professional handmade, featuring masterfully hand-cut headjoints, partially shimmed pads, and state-of-the-art keywork. Order today and start your journey on the flute.